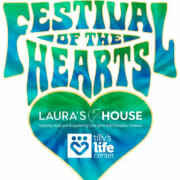 Thank you for volunteering for the 2nd Annual Festival of the Hearts! The festival will include a day full of live music, giveaways, food, educational workshops, social activities, festival booths, and raffles. Volunteer shifts will range from 7:00am-3:30pm. Tasks will include set up, registration, assisting with breakout sessions and social activities, lunch pick-up, lunch resource/activity tables and clean up.